I've been writing journal prompts today, which generally starts off quite slowly. But when I really get down to it, when I sit down (or pace the hallways or wander the sidewalks, as I sometimes do) and really think about all of the possibilities in life and all of the good questions there are to be asked, it always leaves me . 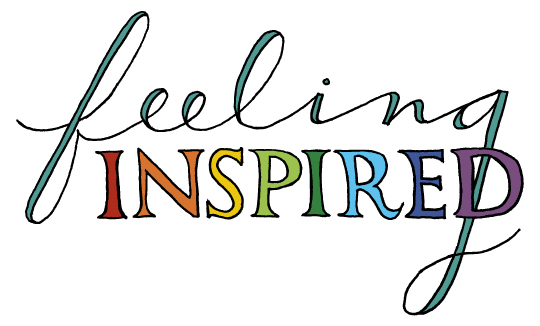 . .
Wishing you lots of inspiration, too! Hi Robin! Thank you so much for your kind words and lovely sentiment. Best wishes to you!